Exclusive: Former Conservative co-chair Baroness Warsi accuses the leadership of ignoring “widespread” Islamophobia in the party. Warsi, who served in David Cameron’s Cabinet, says the party has deliberately whipped up “anti-Muslim hatred” in order to win elections. She says Muslims in the party are frightened to speak out for fear of retribution. She accuses senior colleagues of treating her differently because of her faith. The Conservative party have suspended several councillors and candidates following allegations of Islamophobia. LONDON – Islamophobia is now “very widespread” in the Conservative party but is being deliberately ignored at the highest levels for electoral reasons, the former Co-chair of the party has told Business Insider. Baroness Warsi, who served as Minister without Portfolio in David Cameron’s coalition Cabinet, told BI that the “poison” of Islamophobia had now affected all levels of the party. 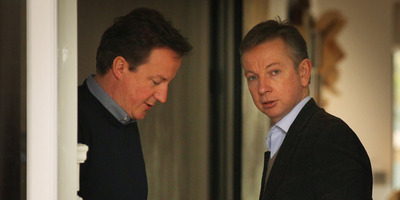 “It’s very widespread [in the Conservative party]. It exists right from the grassroots, all the way up to the top,” she said. 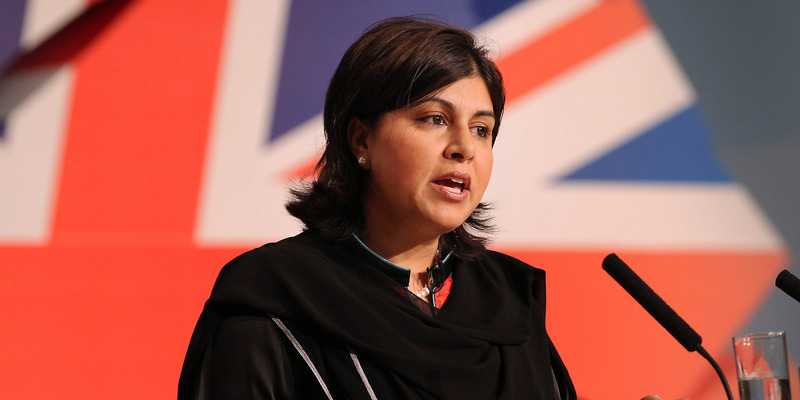 Warsi spoke to BI in the wake of a series of stories about Conservative politicians making and sharing Islamophobic messages on social media. These have included a Conservative MP accused of sharing Islamophobic messages on social media, a Conservative councillor sharing a post about “Muslim parasites” and a Conservative candidate suggesting people hang bacon from their door handles to protect their homes from terrorists. The party has suspended several people from the party following the allegations and insists that it takes all such incidents seriously. She added: “I think that there is a general sense in the country that Muslims are fair game and it is not the kind of community where you can treat really badly and have many consequences. You can get any with it”. Warsi, who has written the book “The Enemy Within” about the history of Muslims in Britain and the prejudice they face, said her party had cynically used the “politics of fear” about Muslims to win over the votes of other minority groups. “It has been a classic case of ‘we’re not racist – we like brown people but we like this kind of brown people as opposed to this kind of brown people,” she said. It has been a classic case of ‘we’re not racist – we like brown people but we like these kind of brown people as opposed to these kind of brown people. 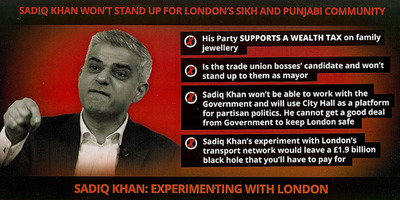 She cited the example of the 2016 London mayoral election, where the party was condemned for targeting Hindu voters with leaflets suggesting that the Labour candidate Sadiq Khan, who is a Muslim, was attempting to take away their jewellery. 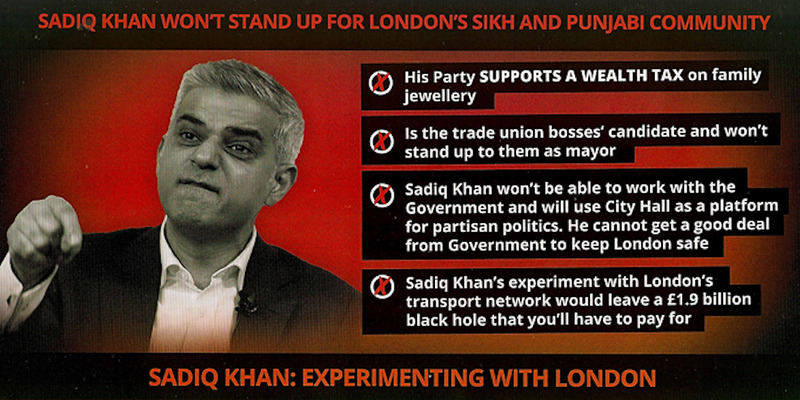 “We specifically went out for Hindu voters saying Sadiq’s after your jewellery and I love Modi and by the way, Sadiq is an extremist. 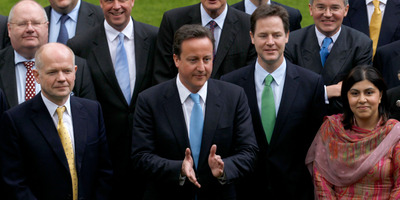 It was really amateur dog whistle politics,” Warsi told BI. She said the campaign had caused lasting damage to the party’s relations with the Muslim community. “I just feel that somebody in campaign took a decision that if we throw enough dirt at him tied to the fact that he’s a Muslim then people will say this man can’t be trusted and he won’t vote for him. Terrible, terrible campaign which I think still has an effect. If you run toxic campaigns then you eventually poison the nation. She said the party, under the campaign advice of former campaign manager Lynton Crosby, had deliberately sought to trash Muslim people. “There is a sense of only caring about what wins us the next election and if trashing the Muslim community wins us the next election then who cares,” she said. She warned that such “toxic” campaigns risked poisoning political discourse. “If you campaign without a conscience then you’re going to run toxic campaigns,” she said. Warsi, who served in several ministerial roles under Cameron, said she had been made to feel, in the words of commentator Douglas Murray, like “the enemy at the table”. “Things would be held back and I wouldn’t be informed about things,” she said. She said that even her routine actions were often under scrutiny. When Warsi became a minister at the Department for Communities and Local Government, one of her aides was taken aside by an official working for the Conservative party and told to “keep an eye” on her due to unspecified concerns the party had about her. She jokes that she was off treated by the party as a “sleeper cell”. She said the “Ukipification” of the party’s attitude towards Muslims had been triggered in large part by the current Environment Secretary Michael Gove. Gove, who wrote the book ‘Celcius 7/7’ about Islamic terrorism, was a close ally of Cameron and Warsi believes his “extreme views” caused the former prime minister to shift the government’s attitudes towards Muslims. “I sometimes joke that Michael Gove radicalised David Cameron,” Warsi tells me. The Conservative party has so far resisted calls for an inquiry into Islamophobia in the party. Warsi says the party is “in denial” about the problem with those affected frightened to speak out. “There was a radio phone-in this morning [on the issue] and the number of people who came on and I recognised their voices and they said their name was Raj or Dave, but they wouldn’t say their real names, and I actually recognised two of the people from the party. She added: “Isn’t it outrageous that people feel they can’t even own these concerns?